Events and activities that enrich my writing life. When I bought the book, I didn't know who Brett Wilson was. Watching TV isn't my thing these days, so the fact that he was on Dragon's Den didn't mean much to me. The title was what hooked me to buy. Brett Wilson's philanthropic philosophy resonates with me. I learned a great deal about marketing and philanthropy, how they can go hand in hand. The community benefits and so does your business. His humanity strikes a chord too. He realized the importance of success in other aspects of life outside of financial wealth when he was diagnosed with prostate cancer. His passion for work destroyed his marriage, but he learned a huge lesson as a result. I enjoyed reading the first half of the book. The second half was repetitive and a bit too self-serving. However, as a result, I did pick up the names of a few products that he invested in during his Dragon's Den days, and even went out and bought at least one item...is that good marketing or what! Overall, I would recommend the book. Chinese New Year’s Day came and went not without fanfare. In this part of the world, across the globe from China, we don’t have to look too far to find celebrations. Even our local YMCA hosted an event-packed day to welcome the year of the horse. For me, it never fails to put me into an introspective mood. I get to look back on the year twice; yes, I do that on December 31st and then again on Lunar New Year’s Eve. The advantage or disadvantage of celebrating two New Year’s days, I guess. So, as I gaze into my rear-view mirror, I see a trail of activities that kept me busy and engaged during my leisure time. Here are three of them at the top of my viewpoint, not necessarily in order of preference: cycling, traveling, and writing. Cycling The outdoor kind won hands down. Spring brought great hopes for bicycle adventures; we were going to be initiated as cyclists—keep in mind that I've been riding (spinning) indoors for many years. Naively, I thought my mountain bike would do the job. After just one ride, I headed to the shop and bought my first hybrid. Now I was ready; that’s what I thought. Then I signed up for an eighty-kilometre ride. During the practice session, one of the marshals had to push me up a steep hill—ooh, the embarrassment still makes me warm and tingly, and not in a comfortable way. I realized that if I wanted to ride with the big boys and girls, I needed the right equipment. So now a brand new road bike graces my basement waiting for the new riding season. Traveling Lately we've been doing two distant trips a year with little drive-able ones during the long weekends. This past year, we flew for three of our vacations: one week in Puerto Rico, two weeks on a Baltic cruise, and one week in Arizona. In between, we spent a few days in Mont Tremblant during mid-summer, riding the trails there. Puerto Rico was a nice mid-winter break in the sun. Arizona and the Grand Canyon were memorable, but our Baltic cruise was the granddaddy of all the trips for the year. The highlight was our two-day tour of St. Petersburg in Russia. Who knows when, if ever, we will return to that part of the world again. Writing This was the year I proudly announced to the world that I’d completed my first novel. The feeling of accomplishment still leaves a warm glow whenever I think about it. 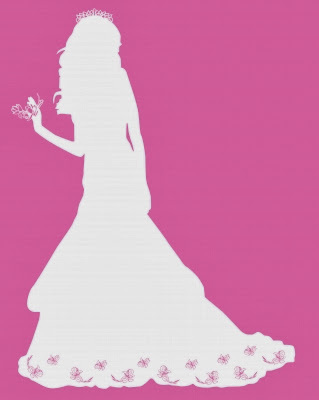 Picture Bride is about to debut during this upcoming spring. I believe that I got a boost in my writing when I attended the Writers Digest Conference in NYC back in April 2013. The book took two years to write, and when I met other people on the same path, along with established writers who seemed willing to put out or help out, it gave me a much-needed shot in the arm to sprint to the finish line. I approved my manuscript and book cover just over a week ago, and now I wait. Due process must be observed. Yes, it was a busy year filled with activities. With February already in progress, I’m predicting a year packed with new undertakings as my book launches and I begin to write another one. My new bike is waiting for its maiden ride; while a cruise and a road trip are already in the cards. Do You Question Your Mortality? Do you question your mortality when someone close to you or known to you dies prematurely or falls seriously ill? At such times, the fragile nature of the balance between life and death stares you in the face, and I think it’s natural to feel vulnerable. Three years ago, a childhood pal and school buddy lost her battle with cancer. My heart went out to the family for their premature loss of a mother, sister and aunt. The dialogues swirling in my head tested me. “How can this happen to someone who was full of life?” Then some introspection, “If this could happen to her, it could happen to me and to my loved ones too.” See how easily someone might spiral down into depression when they dwell on such dark thoughts? How does one escape from these realities? Another jolt hit close to home almost two years ago. A good friend’s husband suffered his second stroke and is still completely paralyzed today. The ache in my heart cannot compare to the pain she endures daily nor the utter helplessness that her husband must feel every second of every hour in every day during these last two years. My own mother was snatched back from the Grim Reaper in 2010 when she was in her early seventies. By any doctor’s yardstick, she should have died, but she survived multiple surgeries, infections, and debilitating blood clots that shriveled her toes. All happened within a few months. I draw my inspiration for hope from my mother. But yet another blow struck. Recently a close friend’s husband suffered a major heart attack. He survived—that is the good news. Now I try to make some sense of this event—a freakish one that hit a perfectly healthy person in his prime—a one-percent chance, according to his cardiologist. Even as I tried to reach out to lend my support to my friend, I grasped at straw to bring some sanity to my own world. A sense of urgency grips me. I want to live life to its fullest. I want my first novel, now in the publication process, to see the light of day. I want to write more books. I want…I want…I want to cram as much as I can into this bucket filled with my yearnings. 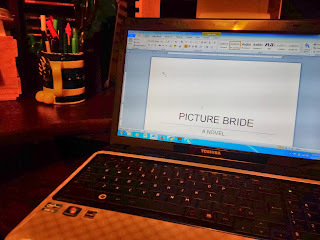 Once upon a time, if you asked me if I believe I could write a novel, I would have said, “No.” That changed when I started “Picture Bride”, a book I have now completed after working on it for two years. Determination was the single most important factor for my finishing this project. But how do you get this fire in your belly? For many years, I had this vague notion in my head that I would write a novel. It was just a seed, blown about and unable to take root as life kept happening and other priorities would uproot this little sapling. When I finally decided that I had a book in me, the seed grew and took hold this time. If you’re contemplating whether you should start writing a book, and you need assistance in motivating yourself like I did, here are some of the things you can do. Take a writing course. The positive feedbacks can leave you glowing with pleasure and wanting more. I took an online program and thoroughly enjoyed working with my coaches. Turn the internet into your friend. The resources online are limitless. When my writing bug first nibbled, I couldn’t find anything helpful in the bookstores and the libraries—the internet was only just emerging. The best I could lay my hands on was a book that put me to sleep each time I attempted to read it. Needless to say, I never finished it. Read about the writing craft, advice from bloggers, books…anything that helps you improve your art and teaches you about the publishing world. Join writing forums, the ones that allow you to post your stories and poems for other members to critique in a constructive environment. I found writing.com to be extremely helpful in fuelling my creativity during the early part of my novel. Join social media. I was hopelessly lost on Twitter during my newbie attempt and turned away for a long time. When I came back, I was determined to figure out what the buzz was all about. What I discovered was a whole new universe where writers and others are more than happy to share all kinds of useful information. Follow the links on some of the tweets to find out what other writers, social media gurus, and sometimes, unsavoury characters—you can skip these, are doing. Attend a writers’ conference. When I attended my first one, I received the biggest boost to my writing side…I can’t begin to quantify the benefits. Create a writing routine and stick with it. Make your goals achievable so you don’t come down hard on yourself with the guilt trips. My target was not word count…that was too difficult given that some days my left brain was more active than the right. Write short stories and poems to take breaks from your book. It’s like flexing the smaller creative muscles to feed the bigger ones. Find out if there’s a writer in your community or amongst your contacts. Befriend him or her. Somewhere along my writing journey, I was introduced to one. She not only fanned the sparks that sometimes threatened to fizzle, but we’ve become good friends too. Buy a tablet or an ebook reader. It’s so easy to download books and they cost a fraction of the printed ones. Sometimes they cost nothing! And you’re supporting the writing community in the process. Two years ago, right before NaNoWriMo, I started to write my first novel, Picture Bride. I wasn’t delusional about finishing it in a month, not even 10,000 words would be possible for me. I have now received the final edited manuscript back from my editor. The home stretch no longer yawns like a never-ending winding road. I can sprint to the finish line now. Oh, what a feeling! 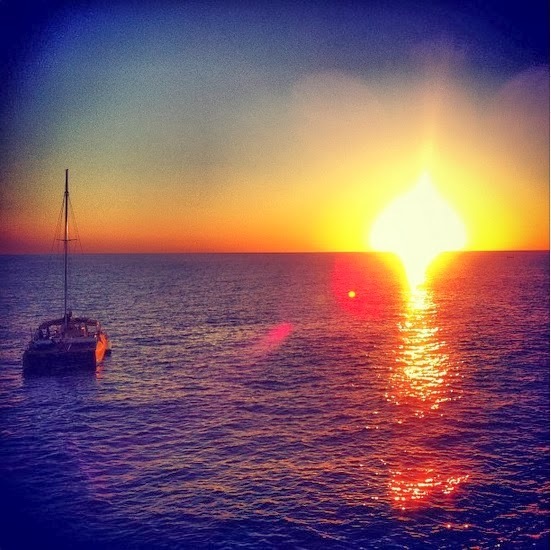 Many years ago, I read a book—I don’t remember its name—that suggested making a bucket list. We all have one of those in our heads, right? But the power of the list is in writing it down. That’s when it becomes real, like a contract you make with yourself. Well, you guessed it. I will be placing a check mark next to one of those items with the greatest satisfaction and sense of accomplishment in the not-too-distant future. This has to be one of my most satisfying achievements, right up there with becoming a Certified General Accountant and finishing my Master of Business Administration degree. So what’s next? I’m not celebrating—not yet. The first finish line only applies to the writing part. As any writer knows, there’s another long mile or two ahead. Throughout these past couple of years, I have kept myself informed about the publishing world. So now I’m at a crossroad. Should I pitch my book in the traditional model or should I publish as an independent author? A part of me says I should find an agent, and yes, I have heard all kinds of horror stories about how daunting this process is, and that’s only the beginning. It doesn’t scare me. But the entrepreneurial part of me says to go all out and become Author, Publisher and Entrepreneur (APE) as suggested by many, not the least of which is +Guy Kawasaki. Okay, granted he wrote many books before he went APE and he’s got more followers than I can count…and I’m an accountant. No matter which path I choose, no one can take away this euphoric and intoxicating feeling that I can do anything I set my mind to. The completion of this novel is testament to that tenacity and resolve. Yippee! It's Thanksgiving weekend, which means that Winter is just around the corner. But here in south-western Ontario, Mother Nature seems to have forgotten that. While the leaves, bright golden and orange--flaming reminders of Autumn's spectacular changing colours--swirl on the ground, the temperatures stubbornly remain milder than usual. No, I'm not complaining about the weather. On the contrary, we're making hay while the sun shines. Just when I think our outdoor cycling season is over, another sunny day makes its way. After the PwC Epic Tour on September 8th, where I rode 80 kilometers, I assumed that was my last outing for this year. Yet here we are, planning another bike ride. Thanks, Mother Nature. Our Thanksgiving turkey has been cooked and consumed. It was fresh from Costco, the place where abundance is second to nothing. The plump bird graced our dinner table in all its fine glory along with its companions, in different shapes and colours. We will be eating all things turkey for a few more days. Thanks, Costco. My family at the dinner table...my deepest and most heartfelt thanks. Who says you can't have your cake and eat it? Yes, that's a picture of my brand new bike. Took it for a 50 km initiation ride within a couple of days. And yes, below is a picture of a spinning bike. Okay, so it's not mine, but I get to use it whenever I want at the YMCA. Outdoor versus indoor riding. Same pedaling motion, and that's where the similarities end...for me. The comparison between the two was academic until I took to the road and experienced the differences for myself. 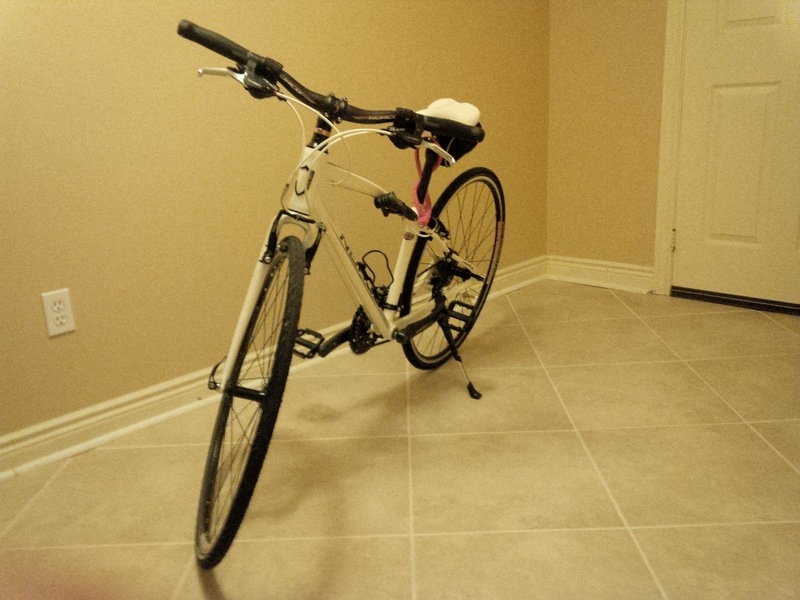 Look at the beautiful seat on my bike, white with a pink stripe. 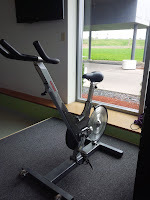 The spinning bike's impersonal seat caused me great pain in the derriere, years ago. Ride like the wind when you go downhill...oops...not so fast, watch out if you're on the road. I love speed, only when the bike is stationery. Huffing and puffing up the hill, on my last gear. Too bad you can't turn the crest into a valley with the flip of the fingers. Now, on that indoor machine, we'll huff and we'll puff, and we'll keep going. But when no one's looking, maybe the tension lever might just drop a notch or two. How about those cyclists who glide past you and no amount of pushing and pedaling with my little feet will make me go any faster. Now you come to my spinning class and I'll show you a trick or two about speed. There's nothing comparable to the breathtaking beauty of a nature ride. However, a spin class takes my breath away...literally. When you ride indoors, you never have to worry about being caught in a downpour or wonder if your water bottle has turned into an ice block. And oh...load up on the sunscreen. The night before an outdoor rendezvous, gotta pack and gear up. Helmet...check, water...check, snack...check, spare tire...check, and the list can go on and on. Now for my spinning checklist. Gym bag always packed...check. Hey, how about the treat at the end of a road trip? A loaded brunch to replenish all the calories lost. Now how about breakfast after my Sunday class? A leisurely coffee with a reward or two to replace the fat I lost in that one intense hour. Okay, the comparison ends here. I can't get enough of both. 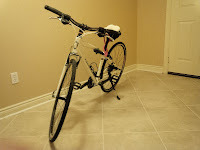 If you love cycling too and have an interesting comment or two about either the outdoor or indoor kind, feel free to comment and connect with me.